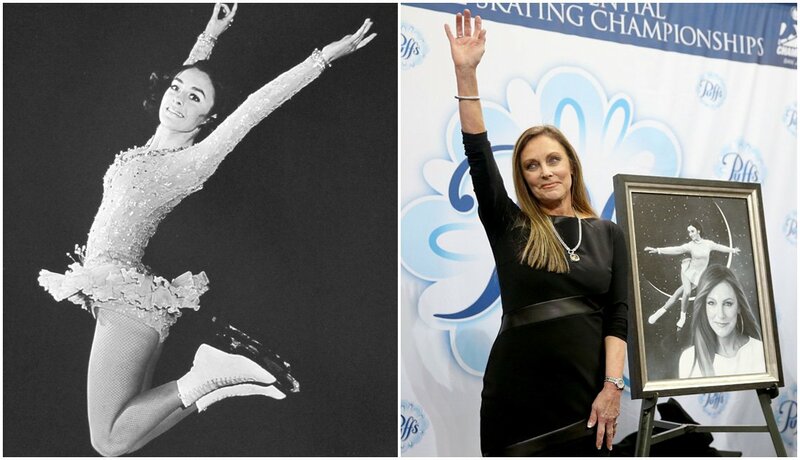 Then: The graceful and athletic Fleming, who turns 70 this year, won a gold medal in figure skating at the 1968 Grenoble Winter Olympic Games. She was the only American to bring home the gold that year. 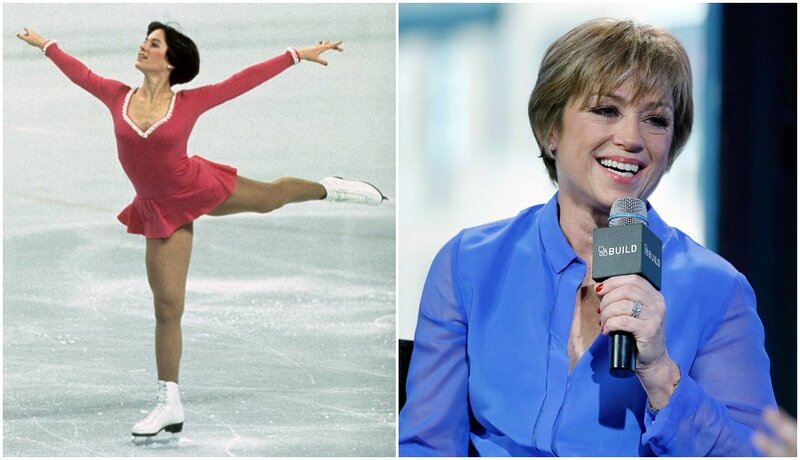 Now: Her post-Olympic life was filled with professional skating, television specials and broadcasting for ABC. Fleming was diagnosed with breast cancer in 1998, and recovered. She and her physician husband, Greg Jenkins, ran a California winery and made a rosé called Victories to help raise money for breast cancer awareness. They recently sold their California home and vineyard, and moved to Colorado to be near their oldest son and his children. Then: Jansen, the youngest of nine children, is one of the most inspirational Winter Olympians of all time. He failed to win a speed skating medal at the 1984 Sarajevo Winter Olympics, but placed fourth in one race. His sister died of leukemia the day of his first race at the 1988 Calgary Olympic Games, and he fell in both his events. He competed in 1992, but again failed to win a medal. He tumbled again in the 500-meter race at the 1994 Lillehammer Olympics. 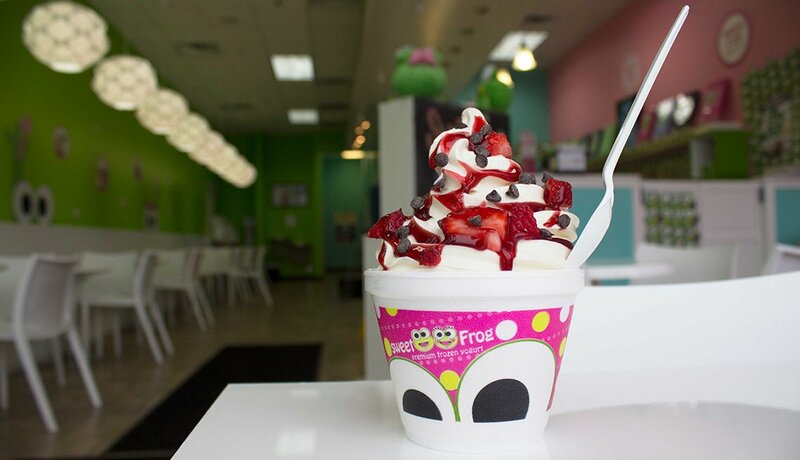 But he won gold in the 1,000 meters, setting a world record. Pull up the YouTube video of him coming over the finish line in Lillehammer and see if you can avoid crying like a baby. Now: He has worked as a speed skating commentator on TV and is now mentoring U.S. speed skater Mitch Whitmore of Wisconsin — a top American athlete appearing in the upcoming Pyeongchang Winter Olympics. Jansen is married to Karen Palacios Jansen, and has two daughters from a previous marriage. Then: At the 1980 Lake Placid Olympic Games, Eruzione and the U.S. team were up against the mighty Soviet Union in a semifinal of the hockey tournament. The Soviets had won the last four Olympic gold medals and were enormous favorites. But the gutsy Eruzione scored the winning goal with 10 minutes to go. Nine minutes and 56 seconds later came one of the most famous calls in sports, offered up by broadcaster Al Michaels in the waning seconds of the game: “Do you believe in miracles?” The American team went on to beat Finland and won the gold medal, setting off years of “Miracle on Ice” movies. 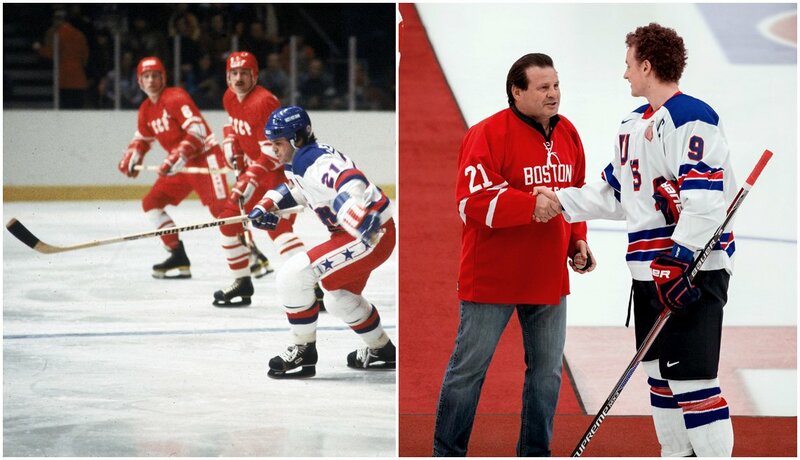 Now: Eruzione has worked as a broadcaster for the New Jersey Devils and New York Rangers of the NHL. He’s director of special outreach at Boston University. He’s still a guy who knows how to wield a stick, having recently challenged USA hockey bureaucrats by demanding more financial support for the U.S. women’s hockey team. 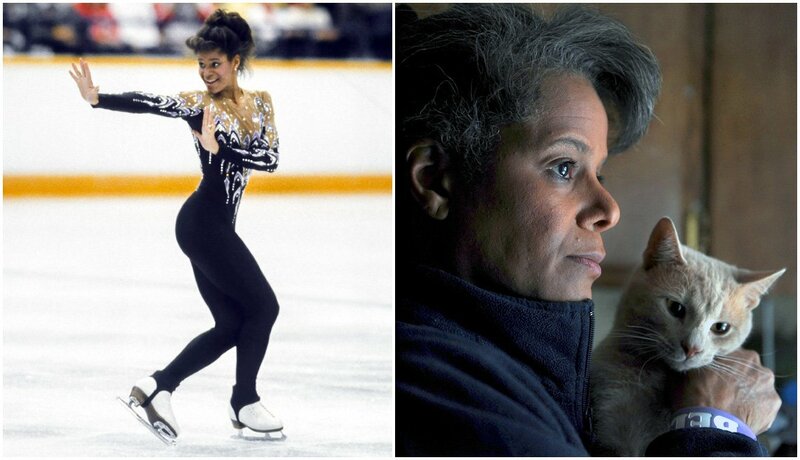 Then: Thomas, whose highly hyped competition was East German skater Katarina Witt, nabbed a bronze medal in figure skating at the 1988 Calgary Winter Olympics, becoming the first African American to win a medal at the Winter Games. She was known as a very bright, determined and athletic skater. But Witt took home the gold. Now: Thomas earned a bachelor’s degree from Stanford and then graduated from medical school at Northwestern. She went into private practice in Virginia but, according to a Washington Post account, is living in a mobile home in that state and no longer practicing. 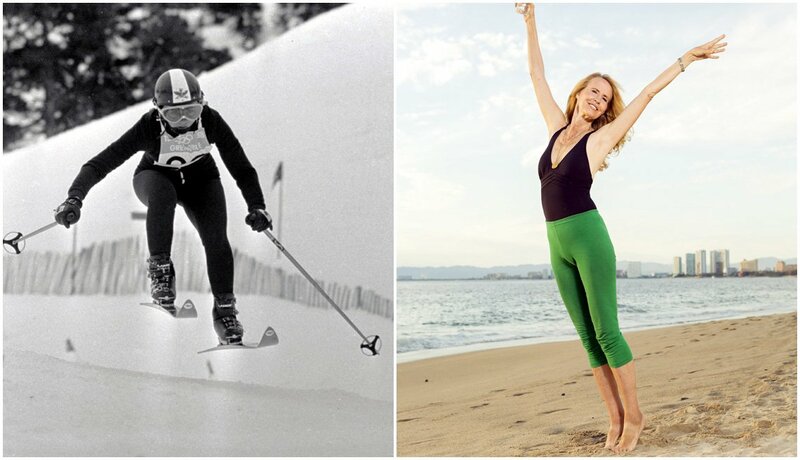 Ski racer Suzy Chaffee at the 1968 Winter Olympics; Chaffee at a 2015 photo shoot for "AARP The Magazine"
Now: Chaffee, a three-time women’s freestyle champion, was the first woman on the U.S. Olympic Committee’s board of directors and is a cofounder of the Native American Olympic Team Foundation. In an AARP The Magazine interview she said she had a hip replaced in 2004. She lives in Puerto Vallarta, Mexico. Then: Hamill won a gold medal in figure skating at the 1976 Innsbruck Winter Olympics. She inspired millions of fans with her engaging smile, and women around the world asked hairdressers for her trademark short and sassy haircuts. Now: Hamill lives in the Palm Springs, Calif., area and continues to skate and mentor skaters, including kids with disabilities. She has written two autobiographies, headlined Ice Capades (and later bought it), and appeared on Dancing with the Stars and Chopped. She has battled breast cancer and depression, and has been married three times. Her first husband was Dean Paul Martin, one of singer Dean Martin's sons. Now: Hamill lives in the Palm Springs, Calif., area and continues to skate and mentor skaters, including kids with disabilities. She has written two autobiographies, headlined Ice Capades (and later bought it), and appeared onDancing with the Stars andChopped. She has battled breast cancer and depression, and has been married three times. Her first husband was Dean Paul Martin, one of singer Dean Martin's sons. 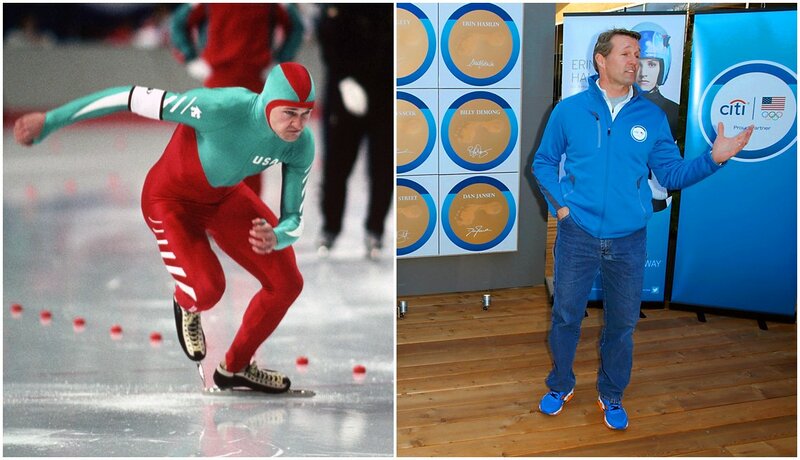 Then: Speed skater Eric Heiden won gold in all five speed skating events at the 1980 Lake Placid Winter Olympics, giving him more gold medals than every country outside of the United States, East Germany and the Soviet Union. 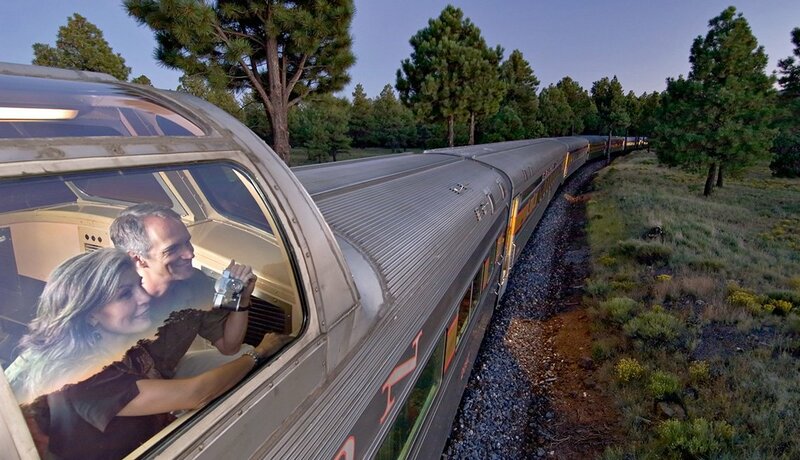 He later pursued a cycling career and won the U.S. Professional Cycling Championship in 1985. 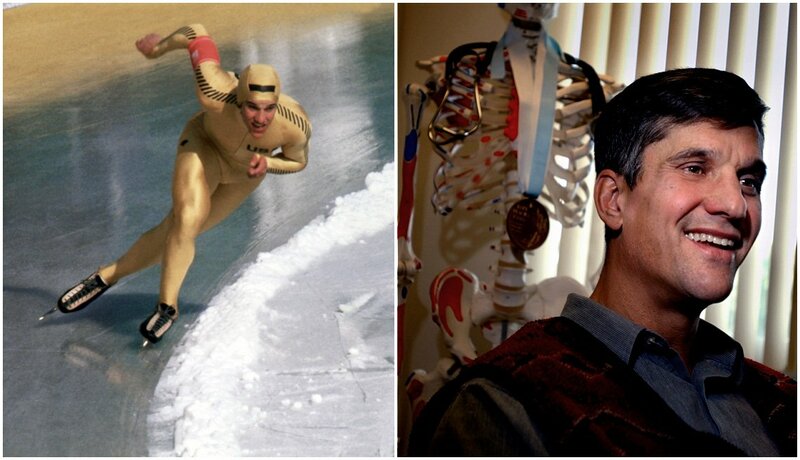 Now: Heiden earned a medical degree at Stanford and is an orthopedic surgeon in Park City, Utah. He has served as the U.S. speed skating team’s doctor, as well as team doctor for both the Sacramento Kings (NBA) and Sacramento Monarchs (WNBA). He’s expected to light the torch to kick off 2018 Winter Olympic celebrations in Colorado Springs, Colo., on Feb. 9, the day the Olympics begin in South Korea. 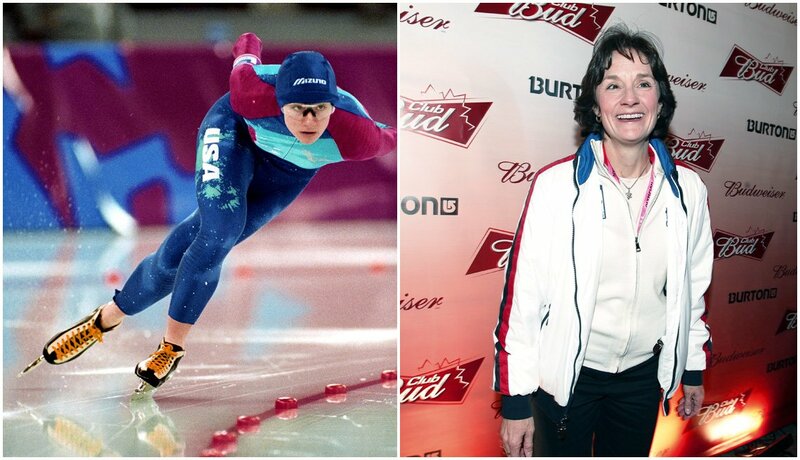 Then: One of America’s top athletes ever, Blair won six speed skating medals — five of them gold — at the 1988, 1992 and 1994 Winter Olympics. Now: After retiring in 1995, Blair became a motivational speaker and founded the Bonnie Blair Charitable Fund. She and her husband, Dave Cruikshank, a former Olympic skater, live in Wisconsin and have two children. Their daughter, Blair Cruikshank, recently competed in the U.S. speed skating trials. She didn’t make the Olympic team for Pyeongchang, but is aiming for the 2022 Winter Games in Beijing. 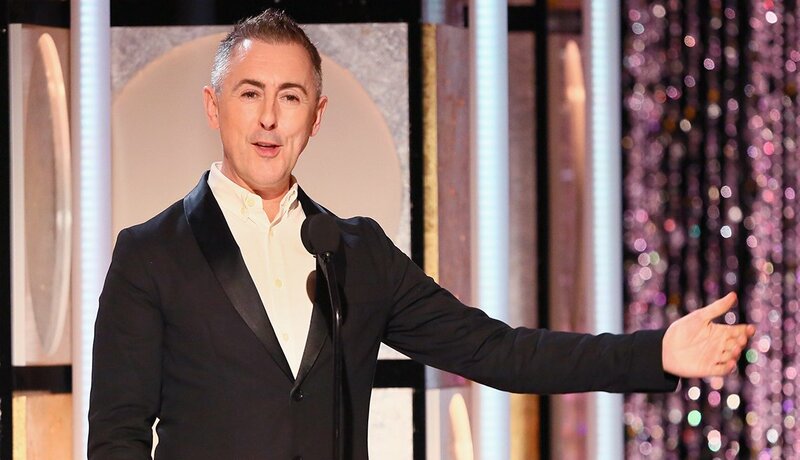 Take a look at the winners from our 17th annual "Movies for Grownups" awards, which span 13 categories. This includes recognition for Gary Oldman, Helen Mirren and many other of your favorite actors and actresses.